US shale production is up. Not only is it up, but it’s been on a mostly continuous uptick for several months now. Is this good news for Texas oil investors? Well, it depends where pricing goes over the next couple of years––and surging US oil production will play a big part in that (but not in the way you might think). Whereas OPEC used to be firmly in the driver’s seat when it came to controlling access to oil (and manipulating pricing), the rise in US shale production is literally changing the world. The more hardline interpretation behind OPEC’s stance? It’s speculated that OPEC held its ground to keep more oil in the market than demand could bear in an effort to drive US shale producers out of business. “More oil on the market” did not go as planned. After an initial dip driven by rock bottom oil pricing, US domestic oil production began to rise again, driven (once again) by technological innovation. The US oil industry continues to innovate and create new ways of extracting hydrocarbons, faster and cheaper. This means US producers can compete even as oil prices remain depressed––pumping more and more oil despite OPEC’s attempts to meddle in their business. The continual onslaught of US production potential now has OPEC, OPEC-affiliates, and even Russia back on their heels again––despite strict adherence to production cuts. With their failure to curtail US oil production, these petrostates have lost much of their ability to manipulate the market, which puts them at a tremendous disadvantage at home. With prices below $65––and, for some, $85––per barrel, they can no longer comfortably fund their social policies and political machines. So, while the US shale revolution continues onward becoming more and more competitive at lower price points, OPEC and the like need higher pricing––or face potential unrest on the home front. It’s a changing world, indeed. Despite OPEC’s attempts to keep it down, US shale oil output continues to grow and set records. 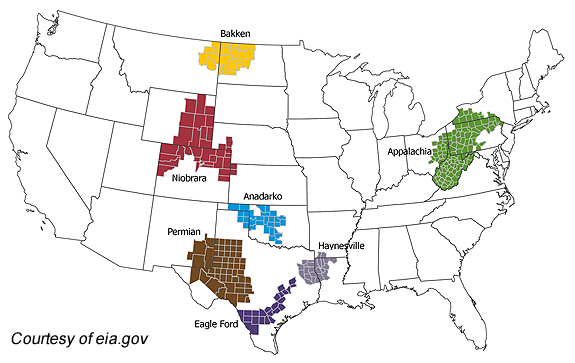 Driving much of this growth is the Texas Permian Basin along with the output from the Eagle Ford and Bakken regions. Every month, the EIA forecast called for more barrels, and every month the number of barrels increased. Next month, that trend looks to continue with US shale production ramping up to new record levels. The EIA also estimates 2.6 million of the estimated 6.15 million barrels a day will come from the Texas Permian Basin. In even more bad news for OPEC, the EIA forecast has grown to include even more shale regions throughout the Lower 48. The more successful shale plays are, the more shale plays show up. 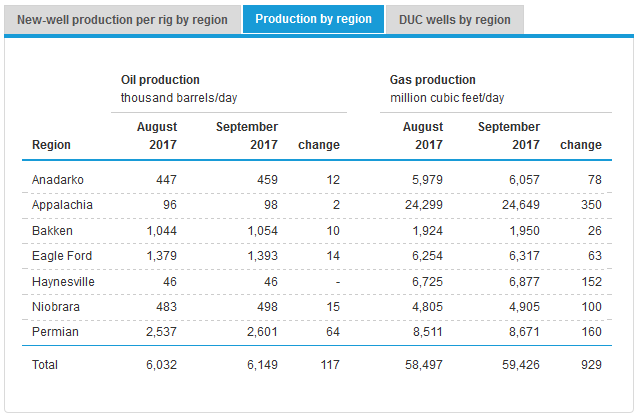 The most recent Drilling Productivity Report from the EIA shows growth by thousands of barrels a day in seven main regions. Each region will see an uptick in gas and oil production between August and September. Many investors fear US shale production will continue to glut the oil market and keep prices down––especially if OPEC members opt to kill agreed-upon cuts and further flood the market. But as explained above, OPEC and other states that depend on hydrocarbon revenue are already walking a fine line keeping their budgets out of the red. How much oil can they afford to let flood the market knowing that doing so may drive prices even lower? Outside of OPEC’s decision to cut or not this November, two key factors will continue to impact individuals and companies looking to invest in domestic oil production––especially in Texas. “As the world’s most important fuel, the most traded commodity, and the enabling force of globalization, the demand for oil is ever-growing. 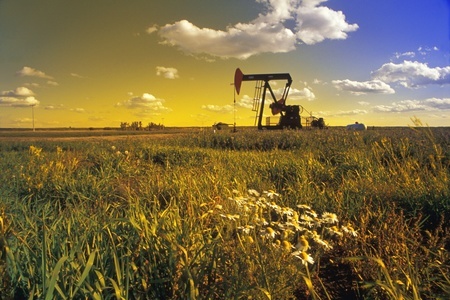 Every year, oil demand rises by around 1.3 million per day, or 1-2%. “… while domestic oil consumption is rising only slightly, the foreign demand for U.S. oil is booming, spurred by the 2015 end to a decades-old ban on crude exports. The U.S. today ships out almost 1 million barrels of oil each day compared with about 520,000 barrels in 2016. The second key factor affecting Texas oil investing is ever-advancing drilling and oil-field technology, which continually drives the price of production down. This is especially true of the Permian, where some large investors are tying a lot of money into shale plays with long-term plans––locking in opportunity now when prices are low knowing they can’t stay low forever. Given the fact that output from currently known fields is estimated to fall over 45 million barrels per day over the next 25 years, timely investment today can yield the potential for tremendous dividends tomorrow. 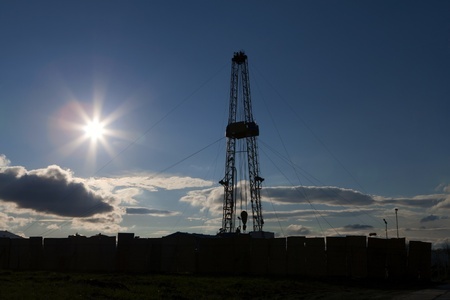 So, is the record-setting pace in US shale production good for Texas oil investors? Certain signs point to “yes” once you take a look at all the players––and bet on US drive and innovation to win the day, any day.